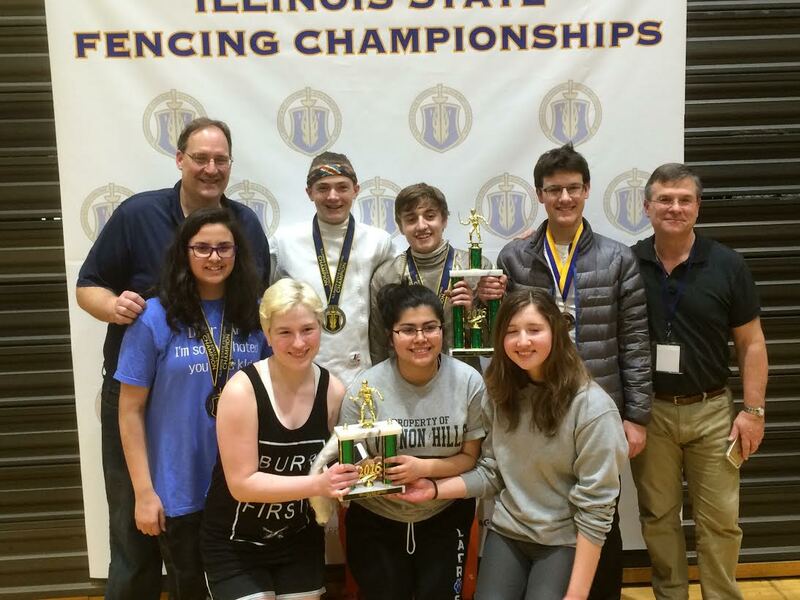 Remington Price of the Libertyville-Vernon Hills high school fencing team brought home the Gold Medal in the Men’s Epee event at the Illinois State High School Fencing Championship this weekend at Glenbrook South High School. Remy also won the Gold Medal in the JV Fencing Championship the week before. Even more interesting is that Remy just learned to fence last year so he’s made incredible progress as an athlete and fencer in two short years. In addition to Remy’s stellar performance, the team brought home three other medals. Brian Lemay won the Silver Medal in Men’s Sabre. Jocelyn Stephenson won the Bronze Medal in the Women’s Epee event. Lia Pelech and Joe Fusco each won a Top 8 Medal in Women’s Sabre and Men’s Sabre respectively. Below are our team’s results. Congratulations everyone! !